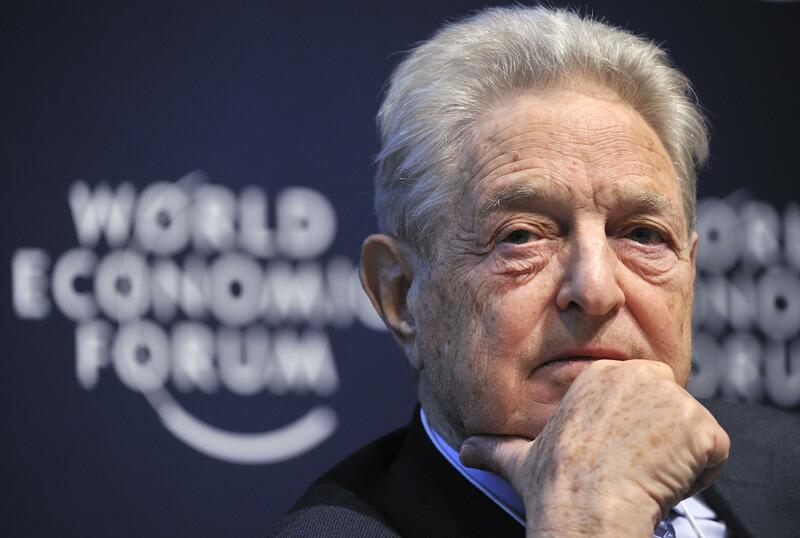 LONDON -- Hungary's far-right government has forced a United States-accredited university founded by the philanthropist George Soros out of the country, the college said Monday. The school, Central European University, called it "a dark day for Europe and a dark day for Hungary." Central European University (CEU), established in 1991 after the fall of the Soviet Union, is one of the top-ranked universities in the region. According to the mission statement on its website, one of its aims is to be "a source of support for building open and democratic societies that respect human rights and human dignity." It says it will be moving its U.S.-accredited programs, which account for more than 80 percent of its degrees, to Vienna, Austria. Monday's announcement came after a drawn-out battle with the increasingly authoritarian government of Hungarian Prime Minister Viktor Orban, which has been cracking down on dissent in the country, as well as on organizations with links to Soros, who was born there but is now a U.S. citizen. "This is unprecedented," CEU president Michael Ignatieff said in a statement. "A U.S. institution has been driven out of a country that is a NATO ally. A European institution has been ousted from a member state of the EU." Soros has been demonized by Orban and his Fidesz party for years, and an anti-Soros narrative made up a large part of their election campaign. They used anti-Semitic tropes to accuse the American billionaire of being behind any number of plots, including promoting illegal immigration. Soros is Jewish and survived the Nazi occupation of Hungary as a child before eventually moving to the United States. Central European University is viewed by Orban as promoting liberal ideals that clash with his vision for an "illiberal" Christian democracy in Hungary. "The government has never even tried to pretend that there were academic grounds for their actions," the university's statement said. "Arbitrary eviction of a reputable university is a flagrant violation of academic freedom. It is a dark day for Europe and a dark day for Hungary." Earlier this year, Soros' other main operation in Hungary, the Open Society Foundations, moved its headquarters from Budapest to Berlin after the Orban government passed legislation – named "Stop Soros" – restricting the ability of NGOs to work on asylum cases. Legislation passed in 2017, which seemed to be aimed at CEU, required that all universities in Hungary have campuses in their native countries. CEU is an American-accredited institution, but did not at that time have a campus in the U.S. To comply with the law, it formed a partnership with Bard College in New York and negotiated an agreement with the Hungarian government; however the government did not sign the deal. CEU said it had to announce it was moving its U.S.-accredited programs to Vienna on Monday in order to have time to recruit students for next year. "CEU is not… an ordinary university, because it has a specific goal… to educate people from the region and from central Asia and so on, for them to go back and democratize," Felix Bender, a Ph.D. student in political science at the university, told CBS News. "It's really ironic that the country that they're in is kicking them out for those reasons." The European Commission said it was "deeply concerned" by CEU's move. It is expected to put additional pressure on Orban's allies in the European Parliament to isolate him. In September, European lawmakers voted to begin proceedings to punish Hungary for potentially violating democratic norms, partially in response to the government's moves against CEU. "Other countries… have been closely observing the situation and checking how far one can go in silencing opposition and academics," Bender says. "Now they know: There is no opposition to such methods coming from the side of the EU. And this worries me." The Hungarian government dismissed criticism on Monday, however. "The Soros university is leaving but staying," Zoltan Kovacs, a spokesperson for the Hungarian government, tweeted. "It's common knowledge that a significant number of its courses will still be held in Budapest. This is nothing more than a Soros-style political bluff, which does not merit the attention of the government."